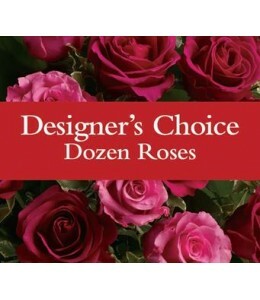 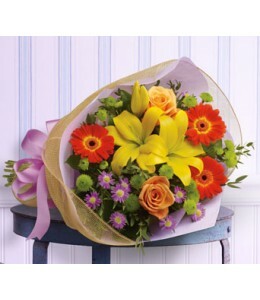 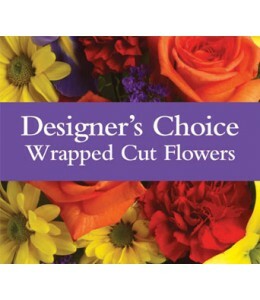 Available in pastel, bright, seasonal or a single colour theme.Designer's choice flowers are custom made for you. 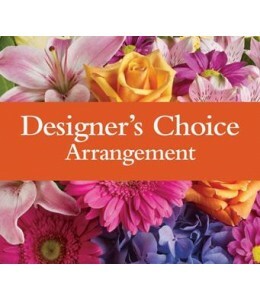 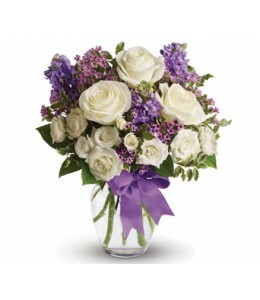 Due to seasonal and regional availability the florist will make up a unique arrangemen..
Searching for a floral arrangement that’s fabulous and flirty? 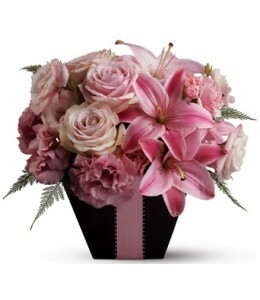 Look no further than this blushing arrangement, created entirely from blossoms in pretty shades of pink and accented with a pink satin ri..
Tell someone you love them with this romantic bouquet which includes roses, lilies, alstroemeria and carnations.Flowers are subject to seasonal availability. 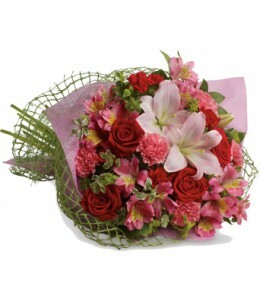 In the event that any of the flowers are u..
Artfully yours. 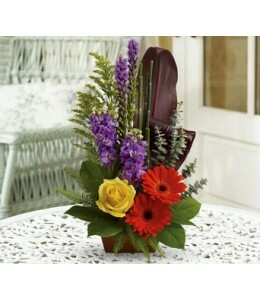 Impress that special someone with this natural sculpture featuring gerberas, roses, stock and ti leaves.Flowers are subject to seasonal availability. 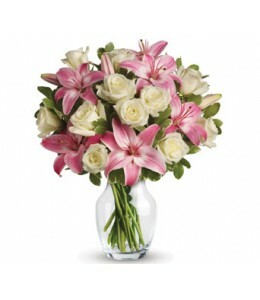 In the event that any of the flowe..